What is remarkable is that Véronique Rivest has not taken her remarkable achievement and moved on to seek greater glory in New York, San Fran or Vegas. Instead, she has opened a wine bar in Hull, now five weeks old. Soif, it’s called, found where the resto-bar Le Twist used to be on rue Montcalm. 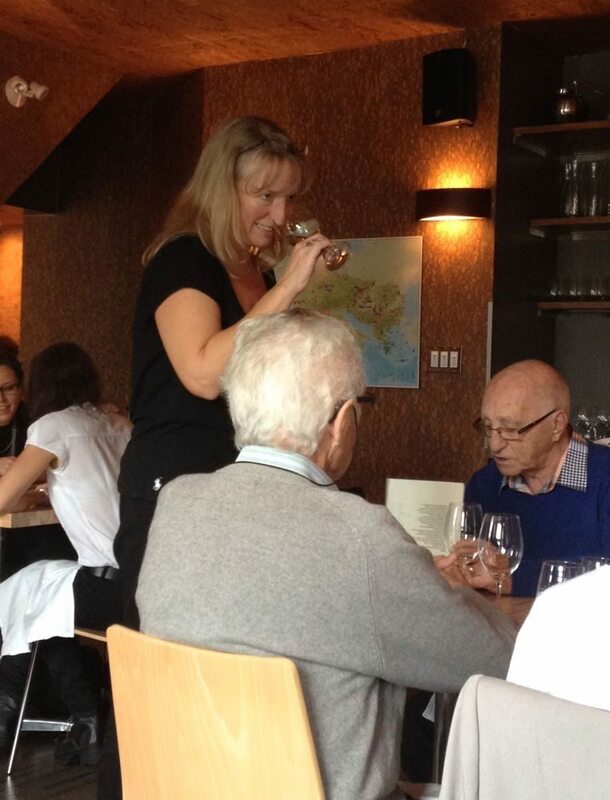 Rivest was pouring wine for a table of elder statesmen, clearly admirers all, when I dropped in for a taste and a slurp. That first lunch was so lovely, I immediately booked dinner the following day. There are three distinct spaces at the red bricked Soif, plus a painted-blue terrace waiting for some spring action. Cork dominates the rooms, covering the ceiling, walls, pillars … even the bench seating has a subtle cork stamp in its soft-green faux leather. Some walls are hung with framed maps of major wine regions. More maps are imprinted on overhead wine racks that double as chandeliers. The wine cellar is on display behind glass. 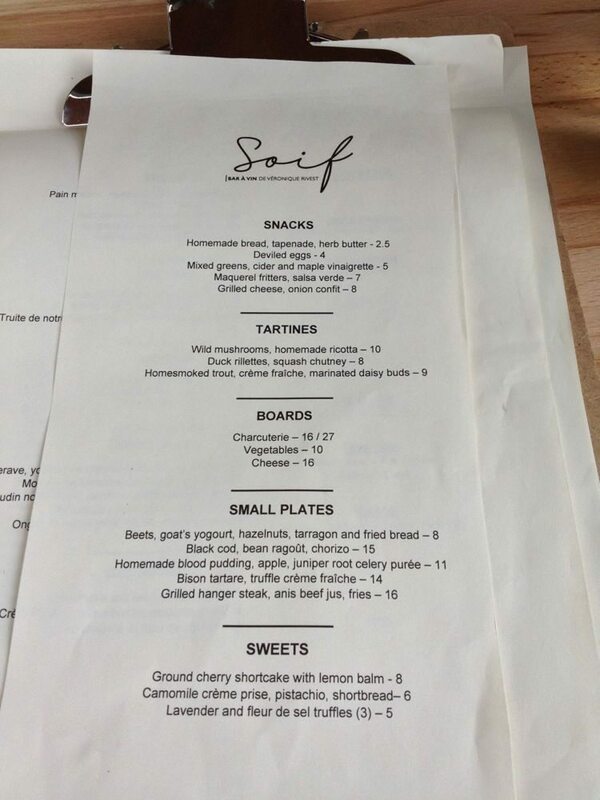 That the Soif wine list contains a wide selection at many price points, served in the right condition by servers who speak with smarts about it and its food matches, was a thing I expected. That the food was also highly accomplished was a bonus. House-smoked trout came topped with little green pods of pickled daisy buds, the layers of pink fish stuck to their toast with a smear of crème fraîche. Another tartine delivered a muddle of mushrooms tumbling off a soft pillow of mushroom duxelles, dobbed with creamy-fresh ricotta. A beet salad was striking on its black slate plate, the roots paired with puddles of goat yogurt, strewn with toasted hazelnuts, edible flowers, and rough chunks of fried bread. A mini cast iron skillet held a steaming ragout of white bean and chorizo. It shared the slate plate with a well-judged hunk of sablefish. 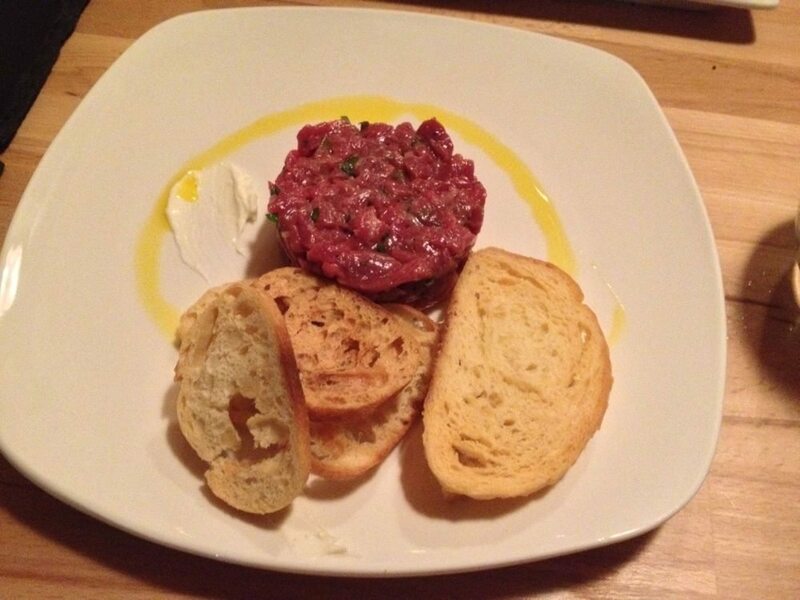 A drizzle of good oil, a pile of crostini, and a smear of (lightly) truffled creme fraîche were the only accompaniments to a ruby rich puck of well seasoned bison tartare. 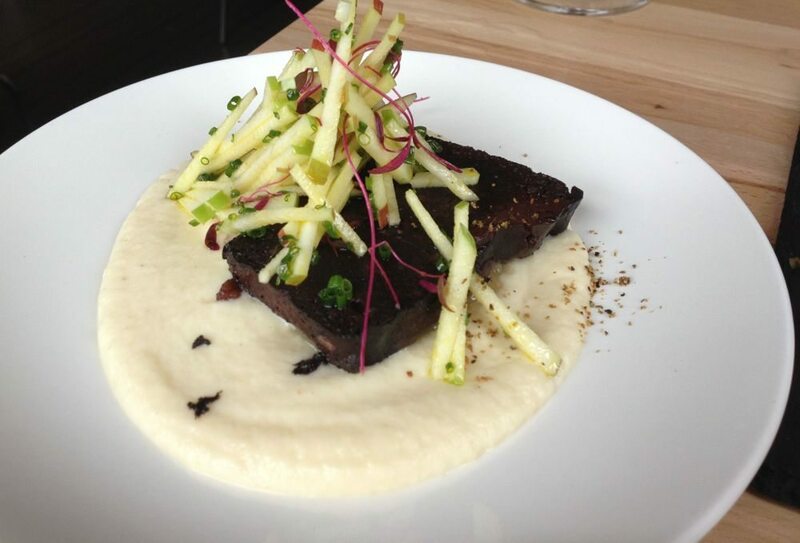 Soif’s boudin noir terrine is delicious, served as a dark slab, pudding-like in texture and peppery, plopped on a creamy celery root purée scented with juniper berry, the richness of the dish countered with a green apple slaw. Camomile infuses a creme prise, and lemon balm a shortcake, served with a ground cherry compote. 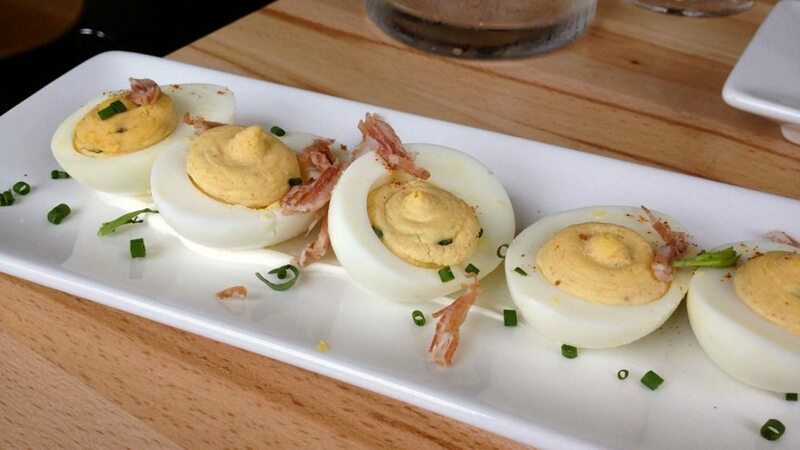 This is not food that is wildly adventurous, but the fundamentals are utterly sound. Plates taste cared-for rather than fussed-over, flavours are clean and uncomplicated. 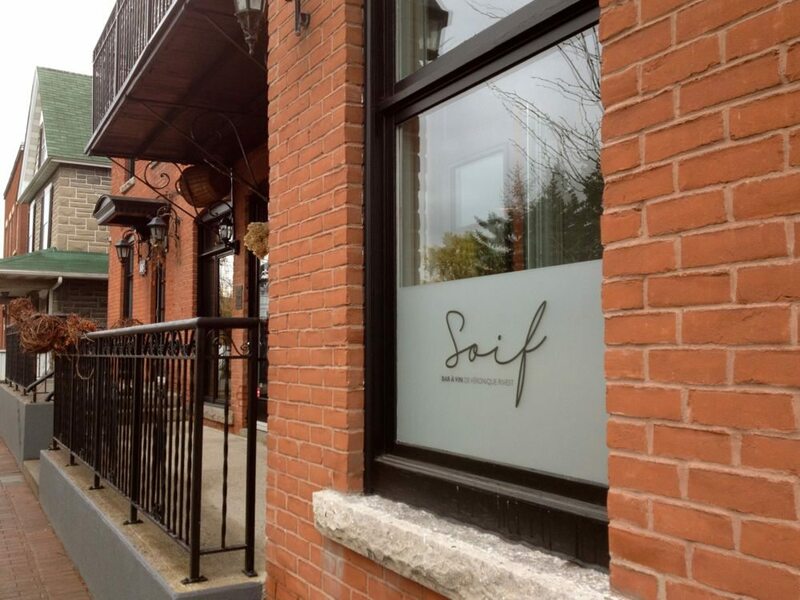 Soif serves food that doesn’t get in the way of the wine. And I found the price point very fair indeed. We were directed to a luscious Merlot/Cab Franc blend from Cotes du Marmandais, the Domaine Elian Da Ros “Le Vin est une Fete” with some of the middle dishes, and somewhere in there, two ounces of a Greek treat, the Naoussa Jeunes Vignes 2012, from Domaine Thymiopoulos. Soif is a marvellous addition to the pleasure of dining out in old Hull. Merci Madame Rivest, for staying among us. We salute you.